Heart of Gold Newfoundland’s ~ committed to raising high-quality, healthy puppies with amazing temperaments & Champion bloodlines. Breeding healthy Newfie’s that have a HEART OF GOLD is my first Priority. 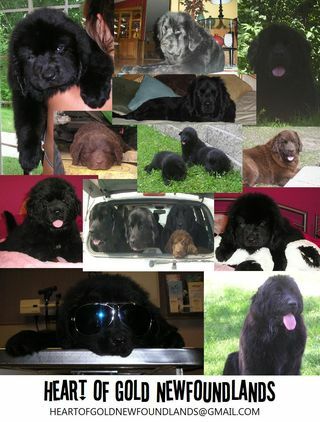 My Newfie’s are bred for soundness, health, beauty, intelligence & a loving, loyal friend for life. All of my Newfie’s are AKC registered, come with a health guarantee & are up to date on vaccinations & de-worming. Please visit my website. I provide a wealth of photos & information to help you get to know us better and learn about these amazing dogs!